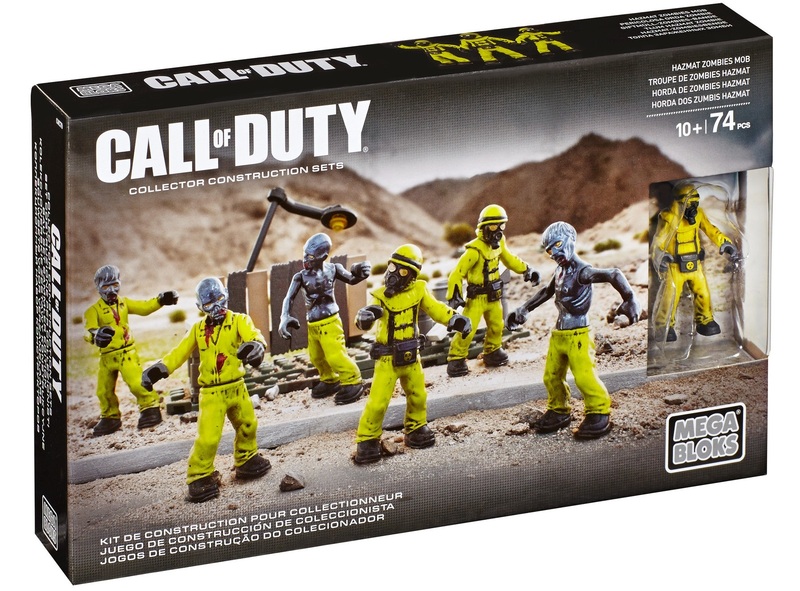 Build the Call of Duty Hazmat Zombies Mob collector construction set by Mega Bloks. Proceed with caution as you wander through the site of a massive nuclear explosion. Devastation is evident everywhere and all that’s left is a charred mob of soldiers-turned-zombies. Build your Zombies collection with six highly detailed micro action figures in yellow radiation protective suits. You can also build the town remains, including a picket fence and light post. Call of Duty Mega Bloks New Release!